Here at Shockwave Therapy Cardiff at the Victoria Park clinic we are very pleased to be using the Swiss Dolorclast Master shock wave machine. This is the Machine used to set the NICE guidelines, and most of the evidence around SWT has been undertaken using the same machine as we use right here in Cardiff. 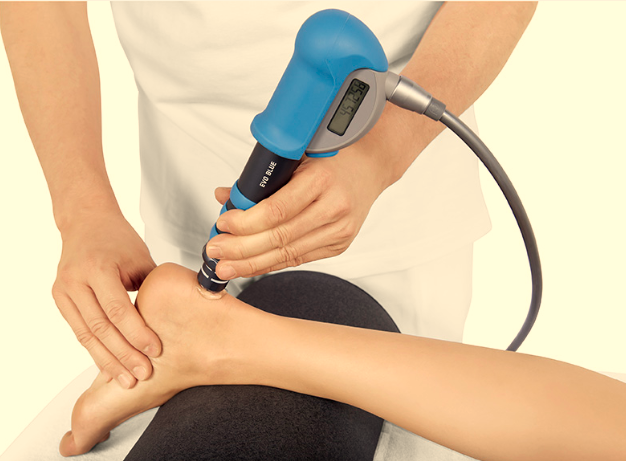 What kind of conditions can Shockwave therapy treat? Is shock wave therapy for me? 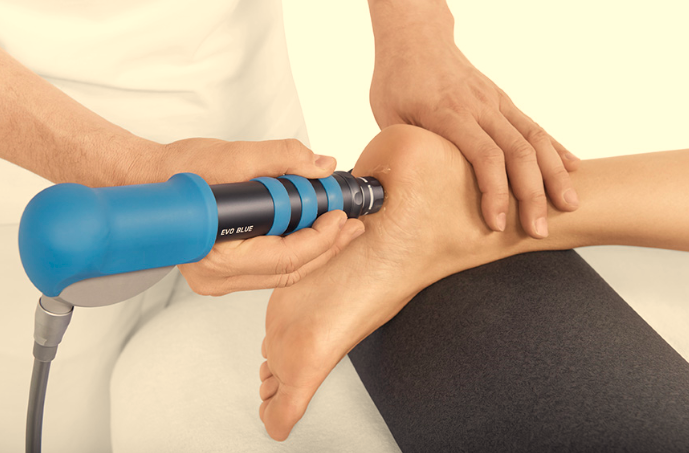 We’re not going to lie, having shockwave therapy can be quite painful, although people have different pain thresholds. You generally find it gets less painful through the treatment as the substance P gets released, and it generally gets less painful with each treatment (most people have 3 treatments). The treatment doesn’t take long, though, and most people get pain relief immediately after treatment. Not side effects as such, but short term reddening of the skin and bruising can occur, they normally disappear after 24-48 hours. After the treatment it is recommended you rest for 24 hours, you can go about daily activities but we recommend you lay off high intensity and high load exercise for 24 hours. We know rest isn’t something active people do well, but you’ve paid for the treatment, might as well get the full effect of it? You can drive after the treatment (provided you could drive before the treatment).